A new version of Google Maps slipped out late last night, just in time for the weekend. While there are a couple of small cosmetic changes showing up, we haven't spotted any big additions yet. A teardown tells a bit of a different story. The Google Maps team is getting ready to add a new form for reporting road closures, and another for creating new accounts with Uber. There will also be a new notification for confirming your mode of transportations during commutes, and best of all, you'll soon be able to tell how full busses and subways are likely to be. The Q&A section was added to the details page of locations back in August. While it serves its purpose well and it's easy to use, keeping track of your interactions with it could become somewhat unwieldy, especially if you have asked or answered quite a bit. 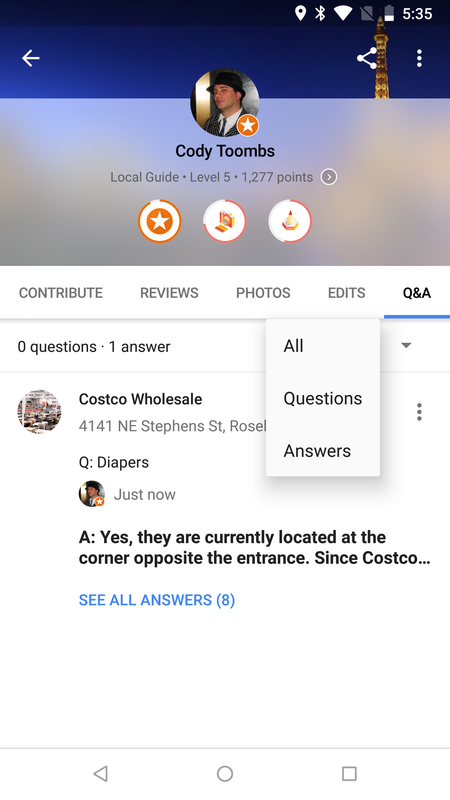 With the latest update, keeping tabs on your Q&A history will get a lot easier. If you set up avoidance restrictions for navigation, you'll now get a nicer looking line with your criteria. Instead of all-caps and the word 'AVOID' repeated for each option, text is now shown in sentence case and each option is comma delimited. I know, it's cosmetic, but this is the type of polish that counts. Maps made life better for drivers when it began reporting how difficult parking was in an area, and more importantly, how full individual parking lots and garages might be. Now it's time to tackle the problem for those that look to subways and busses to get around. Google is going to begin reporting the occupancy of mass transit options, rating them in general terms of severity: Many seats available, few seats available, standing room only, and crushed standing room only. Knowing that you'll be competing for limited space can be vitally important for those with physical disabilities, anybody carrying a lot of things or anything delicate (imagine carrying a cake on a packed subway), or those with claustrophobia or other fears. I've checked a few different subways and bus routes, but none of them appear to be showing any warnings about being busy. 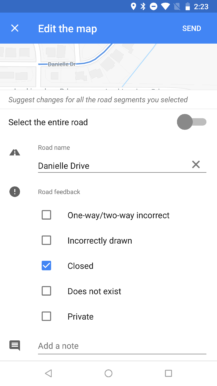 Google Maps uses many different sources to deliver timely information about road closures and special conditions. 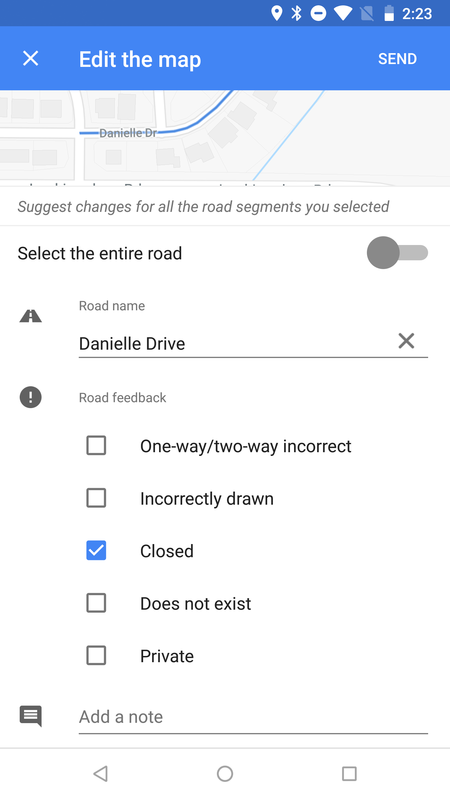 However, the method for reporting a road closure is pretty hidden and only allows users to include a short note to convey the situation. 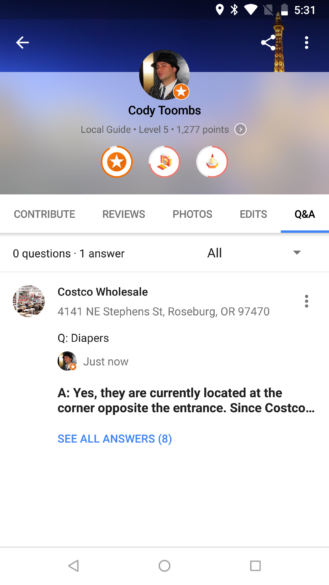 The Google Maps forums often direct users to Waze or the web interface to enter anything more useful. The latest update to Maps indicates this is about to change. A new reporting interface seems to be in the works. It's still not elaborate, nor should it be, but it will bring a few more fields to make reports more useful and informative. Users will be prompted to include details about the closure, including which directions are affected (one way or both) and a reason for the closure with options like a crash, local events, mudslides, and several others. 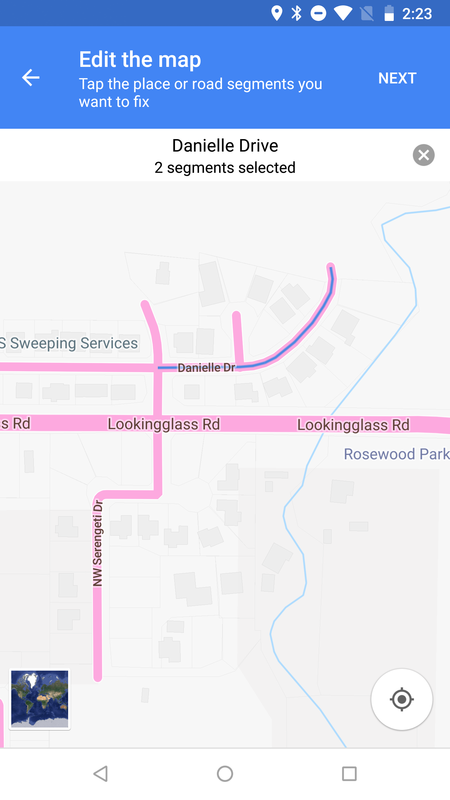 There will also be an option to add start and end times for the closure, which will be useful for things like parades and scheduled road work. Uber integration has been present in Maps for a long time, starting with basic price listings nearly two years ago, and becoming full-fledged native support about a year later. 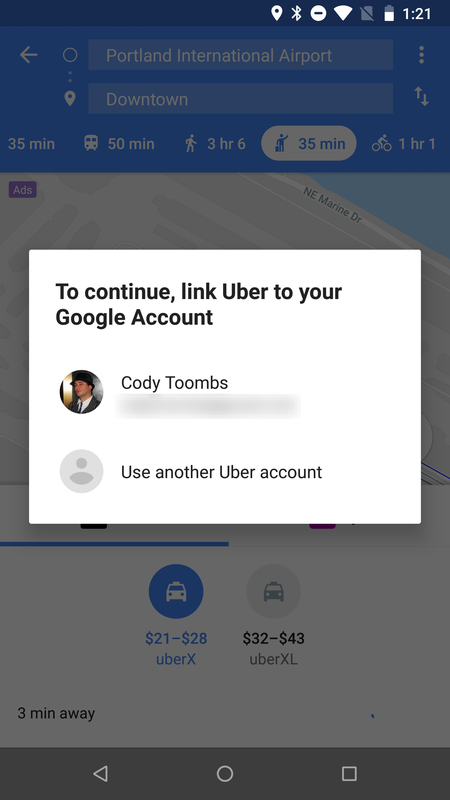 If you don't already have an Uber account, you could already use your existing Google account to instantly sign up to Uber. But with the latest update, there are signs that Maps may be making that account creation a little more thorough. Judging by a pile of new strings, there's a revised account creation form in the works. It's possible Uber wants to carry out its own account validation process, or might have been pressured to make users go through a more formal sign-up. 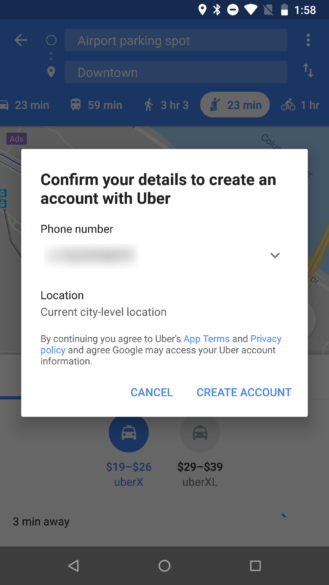 On the other hand, only one string out of the bunch is specific to Uber, so it's possible this whole form is meant to be generic and will eventually branch out to work with other "ride-share" services. A few new strings were added with this update that suggest a new type of notification may appear for a few people. These are basically phrased to ask if you're not using the mode of transport Google thought you were. 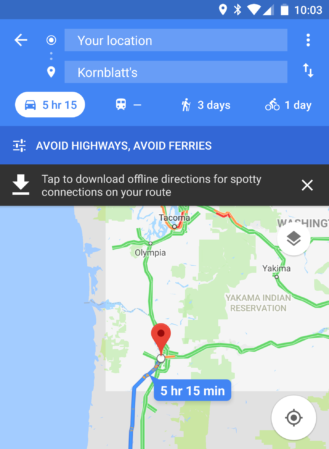 This is likely to work with the commute features added a few months ago. 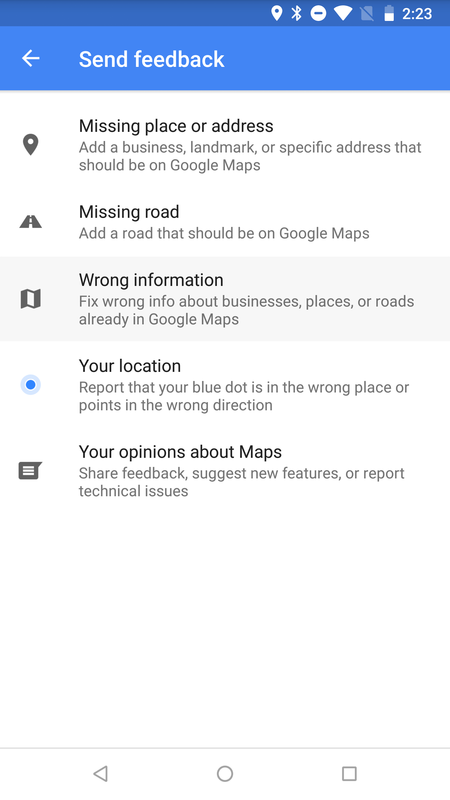 My hunch is that Maps will identify behaviors that don't fit with the transportation mode it expects. For example, you're expected to be driving, but your route takes you through several bus stops, and then you begin walking. 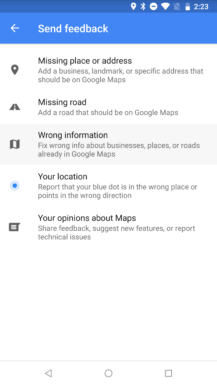 Once Maps notices this, it will post a notification asking you to correct the mode, which will likely take you to the commute settings.